Whether you work in advertising, marketing, innovation or new product development, one of the most difficult things is having to come up with new ideas & perspectives all the time. There’s often a mad scramble to find innovation examples, social commentary or macro trends when we have pitches on or a presentation due, but the reality is that this kind of information is most useful & valuable when it’s applied consistently throughout the entire working process. When we’re exposed to a bunch of different points of view, different modes of thinking & different models of expressing that thinking, we approach things differently from the start. We interrogate the client’s brief in more detail, we set the boundaries for the strategy more decisively, we look for creative & strategic stimulus in places others may not necessarily have thought of & think outside the intellectual systems & structures that we would normally fall back on when we just ‘use what we have’ or even worse, ‘what we’ve done before’. formal planning or strategy role), whereas the other is about drawing new dots, which take a while to be connected, sometimes if at all. The definition of a “Feeder” is one who stimulates people’s minds with a constant supply of new trends & ideas. At least that’s how the big cheeses at Business Week define it. So how can you get around this in your own company? For starters, you could nominate a feeder – someone who spends a proportion of their time keeping abreast of trends, research & new ideas & then feeding them through to the rest of the company. That person could be the ‘go to’ person & act as a starting point or spring board for new business pitches, strategy or creative development & even general on-going projects. You could also create an in-house blog & get an external person to write it. At Old Navy, they have their very own Feeder – Ivy Ross. She’s created an in-house blog called Culture Feed, & hired ace cool hunter Jody Turner to write it. Turner curates what’s available on the Internet for Ross’s designers. interest areas & even their comfort zone. The Feeder spends most of their time listening, learning, talking, exploring & storing away tidbits for a rainy day. So have a look around your organisation & ask yourself who could play that role & what could they contribute? The reality is that you can’t get great original output without giving people the right input. It’s not brain science but it’s astounding how many companies don’t take this role seriously. 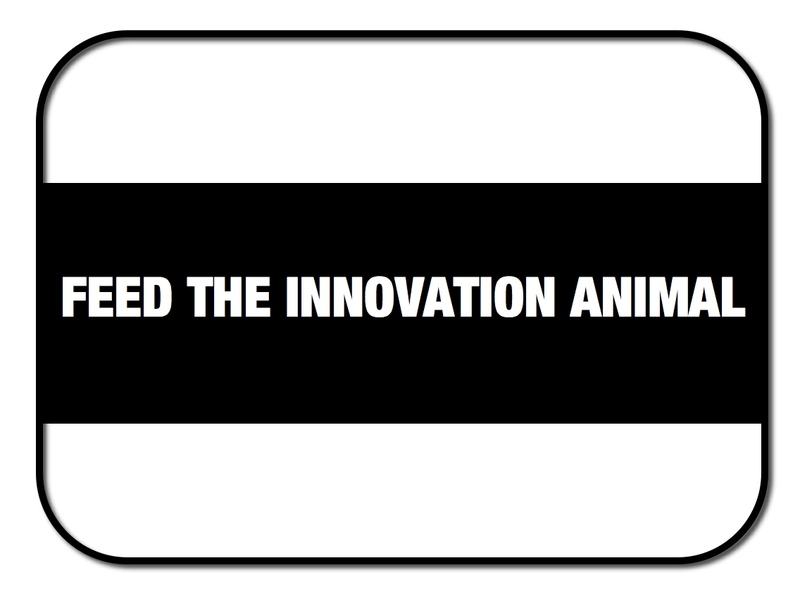 So get yourself a geek & feed your innovation animal. Same here Gavin, when people ask ‘why do you blog?’ it’s usually because they find it weird or really geeky, but if I didn’t, I’d just be thinking about what I work on day-to-day, I’d never think about anything else or remember the great posts I saw, or thoughts I had or links I found or ideas I loved. How can I afford not to blog? This is exactly the reason that I have a blog. If I didn’t I would get caught up in day-day busyness … it forces me to be disciplined about my thinking, writing and analysis.